Arguing over movies is the rare activity that’s as frustrating as it is entertaining. Sometimes, when you’re lucky, you end up changing someone’s mind or helping them realize a new perspective on a movie they hated. Most times, you just end up yelling at each other. Yet we do it anyway, because talking about movies is fun, even under the most combative circumstances. With that in mind, I’m hoping this piece sparks more debates on our blog about our team’s favorite (and least favorite) films. 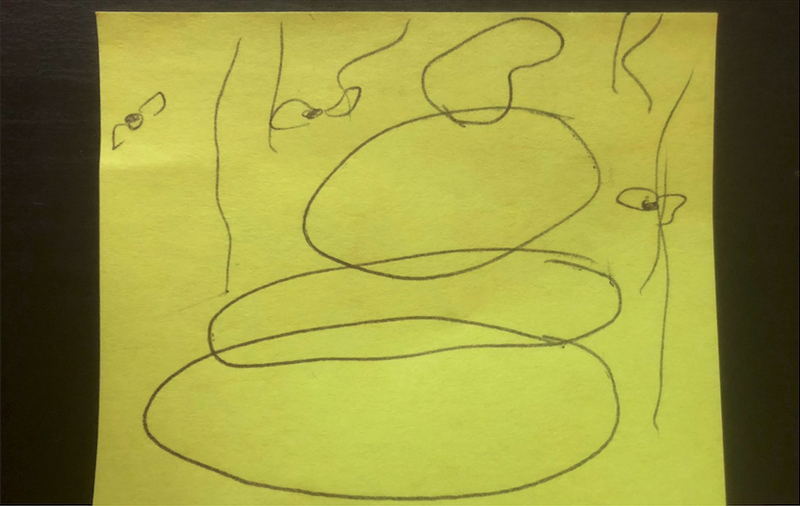 The inspiration for this post comes from a disagreement with ECG’s lead animator and resident Huel enthusiast, Trey Gregory. 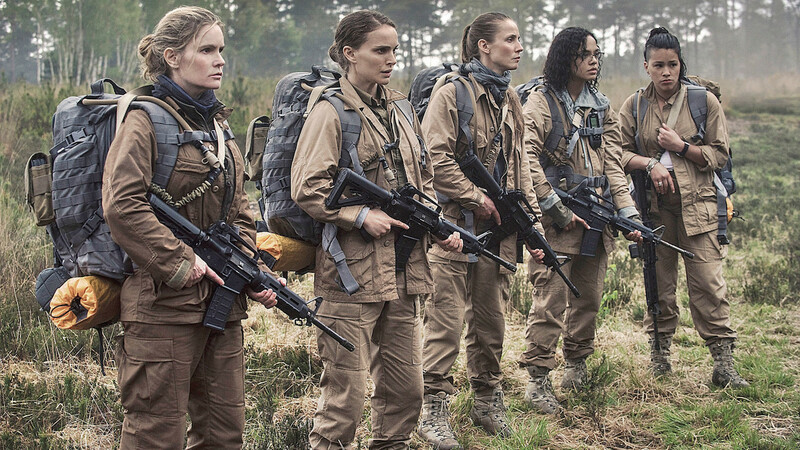 I saw Alex Garland’s sci-fi thriller, Annihilation, in theaters and loved it. So, months later, when Trey mentioned he was considering renting it to watch on a Friday night, I gave it a strong endorsement. 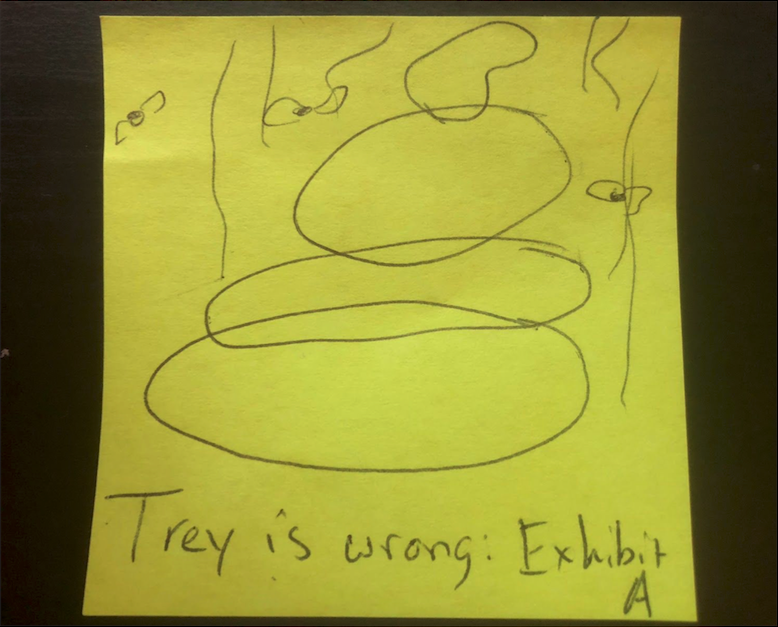 Pile of crap doodle representing Trey's opinion of Annihilation. I’m using it as motivation here as I set out to analyze Annihilation, from the central conflicts, to the internal and external threats the characters face, to the philosophy at play, and show that they combine to form a coherent, effective, and thoughtful piece of cinema. Join me, won’t you? Pile of crap doodle, Exhibit A.
I emerged from my first viewing of Annihilation exhilarated. Not only was the film visually beautiful, but it was tense, well-acted, and among the most original, creative movies I’d seen in recent memory. The movie oozed with a feeling of impending dread, and the isolation the characters experienced was palpable. I won’t compare the movie itself to Alien (a masterpiece and one of my all time favorites) but it was definitely giving off similar vibes. Whatever these people were going to find in the mysterious “Area X”, it wasn’t going to be friendly. These elements were welcome (especially after the disappointment that was Alien: Covenant), and I found the surreal nature of the film refreshing. It’s been awhile since I’ve seen a major film comfortable with leaving itself up to interpretation. I’ve read articles claiming that Annihilation is about cancer, and others that purported it was a commentary on depression. I align more with the latter – looking through that lens went a long way towards my own understanding of the film as a cohesive story. That said, I’m not trying to undermine anyone’s reading. Except maybe Trey’s. But seriously, the real point here is that Annihilation is open to interpretation, but it isn’t vague or muddled or conflicted. We’re not talking about a strict dichotomy here, like in Inception, for example. This isn’t a choice between “dreaming” or “not dreaming.” It’s several different, fully-developed interpretations of a film’s message that are all valid. That’s a rare thing. I didn’t initially want this to be an in-depth analysis of the movie, and I’ll try not to dive too deep. 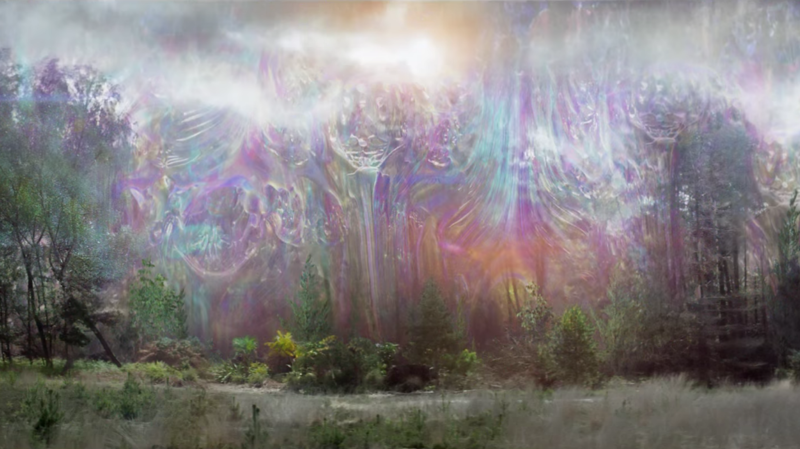 That said, if I’m defending the idea that Annihilation is a good movie I need to address some of Trey’s biggest complaints – mainly that there were big narrative gaps, the characters acted irrationally and the ending was confusing and muddled. In other words, the movie didn’t know what it wanted to be. It wasn't consistent. Was it a tense thriller with horrifying creatures and gut-churning body horror? Or was it a surreal, cerebral journey into the psyche of Natalie Portman’s Lena? It is, of course, both. But why did I think these parts formed a whole, while Trey just thought they created… well, holes? Let’s analyze. In my view, the movie is about self-destruction. Dr. Ventress, played by the brilliant Jennifer Jason-Leigh, makes a point about self-destruction early in the film. She claims there’s a significant difference between self-destruction and suicide. “Very few of us commit suicide,” she muses. “But almost all of us self-destruct.” The film is an examination of various factors that can cause people to self-destruct, and the strange impetus within us to do so. Yes, there are surreal aspects to the film, and some things that defy explanation. But when we think about them within the larger context of the film’s meaning, they are consistent with it’s message. In the film, I view the entry into the “Shimmer”, an isolated electromagnetic field where strange things happen, as analogous to the appearance of these self-destructive urges. The women go in and the next time we see them, several days have apparently gone by. They don’t remember how they've reached this point. It’s representative of the empty space that exists between mental health and mental illness. Whenever I’ve dealt with depression in the past, it’s always hard to pinpoint how I got there. There’s no explaining where those feelings come from. I won’t say this is a reading I came upon on the first viewing. I remember accepting it because I trusted the movie would provide an explanation of the phenomenon of the Shimmer. In terms of the surface plot, the movie never does explain it. This was one of Trey’s complaints. 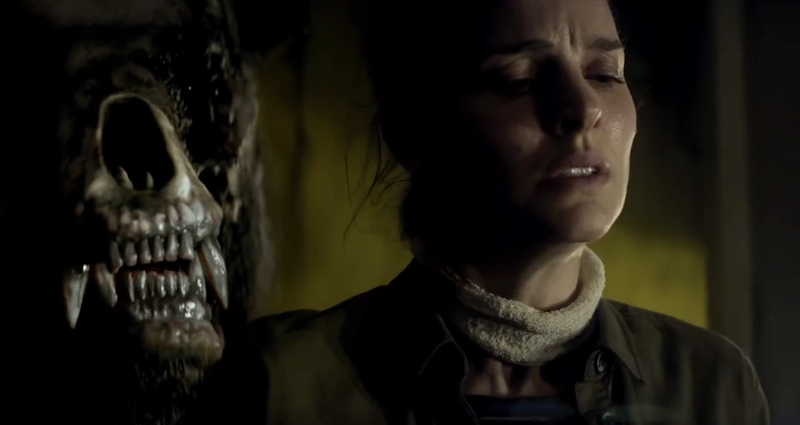 I was satisfied because I was sold on the weirdness, and by the end of the film I was convinced that nothing in Annihilation was meant to be taken at face value. Within the context of my reading, the film still made perfect sense. An external threat in a book or film can be anything from a tornado, to a supervillain, to a mindless beast. 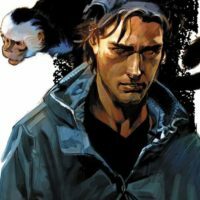 Any one of these can be interesting, but usually in relation to the effect they have upon the characters in the story. A tornado, for instance, can be a terrible thing for people caught in its path, but a film in which a tornado tears through a rural Kansas town isn’t a compelling story unless we know the people who live there and care about their survival. The best external threats are compelling in their own right and add dimension and depth to the narrative. They don’t necessarily have to be frightening, though they often aim to be. The external threats in Annihilation checked all the boxes for me. For such a cerebral movie, this was an unexpected and welcome thrill. I’m not thinking about whatever parasite was slithering in that soldier’s stomach in the video that the women find on their journey. I’m not even thinking of the alien at the end of the film, which I can best describe as a guy in a metallic-tinted morphsuit (whose design, by the way, was one of my few qualms with the movie). No, I’m thinking of the creature I’ve come to affectionately call Throatrip the Bear. I could write an entire blog post about Throatrip, but the bottom line is that this bear was one of the most terrifying external threats I’d seen in recent memory. He looked creepy, with his skin sloughing off and his skull partially exposed. But the true terror came from hearing the voices of those he killed rasping out of his maw. It was great sound design, and it served a dual purpose for the philosophy of the film. First, it’s a lesson in biology. To die in the Shimmer is merely to be repurposed into a life-force that continues elsewhere. That’s just the way of the world. Second, it is a reminder that the echoes of the past – of things that are lost – can be one of the greatest threats to moving forward when not properly handled. There are multiple layers to Throatrip, and I love him for it. And, despite the fact that he haunts my dreams, I thank Annihilation for bringing him to life. Soon after the party enters the Shimmer, Lena has a conversation with Shepard (Tuva Novotny). It is one of the most direct instances (along with Ventress’ comments on self-destruction) of Annihilation letting the viewer know what it is about. Shepard details how each woman who entered the Shimmer on this mission is damaged in some way. Paramedic Anya Thorensen (Gina Rodriguez) has had struggles with alcoholism. Physicist Josie Radek has been suicidal in the past, and Shepard herself has lost her daughter. Later, Lena discovers that Ventress is dying of cancer. And Lena, of course, is dealing with not only the disappearance of her husband, but also her guilt over cheating on him. Five women, all with reasons to self-destruct, volunteering for a mission from which no one has ever returned. Well, no one except Kane. These threats are internal – they are the reasons why these women in particular have chosen to enter the Shimmer. The question the movie poses is not whether or not the Shimmer will destroy these women. The question is: Will these women destroy themselves inside it? When we meet Lena, she is already on the verge of self-destruction. She is wracked with unresolvable guilt, and is reclusive because of it. The Shimmer offers her the impossible: a chance to solve the mystery of her husband’s disappearance, and thereby redeem herself, in one fell swoop. Throughout the film, we are asking ourselves if she truly wants that redemption, and what she is willing to do to achieve it. Though the ending of Annihilation is ambiguous, I view it as a true completion of Lena’s arc. She wants to live, and she cuts away the parts of herself that prevent her from doing so. At the end of the film, we know the man holding Lena is not the Kane that she married. But that’s not what it’s about. It’s about Lena having learned to live with the mistakes she’s made, and press on regardless. Now, like Trey, you might disagree with my takeaways and that’s fine. All I can hope is that this analysis made you think, and consider your feelings for this film. After all, evoking emotions and encouraging contemplation are what great movies – and great discussions – are all about.